To take your bathroom to the next level you need to think of the detail in the finish. Adding texture to the room can transform a mediocre look to something extra special and luxurious. At Concept Virtual Design, we can help create this exquisite look with the help of our range of tiles, to give a truly spectacular addition to your decor. 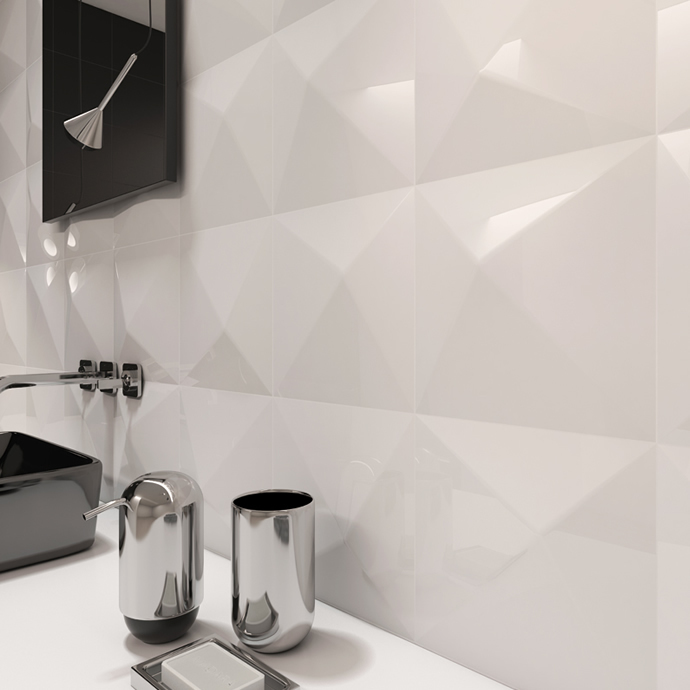 The shapes in the tiles used here give style and definition to an otherwise simple wall space. The angular and constantly changing highs and lows of the material keep the eye moving, with the 3D texture giving a feeling of warmth. 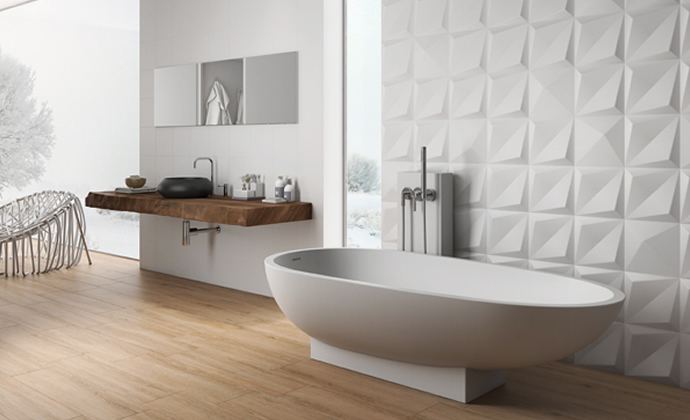 The crisp white is softened by the use of these beautiful tiles, keeping the room feeling fresh, light and airy. 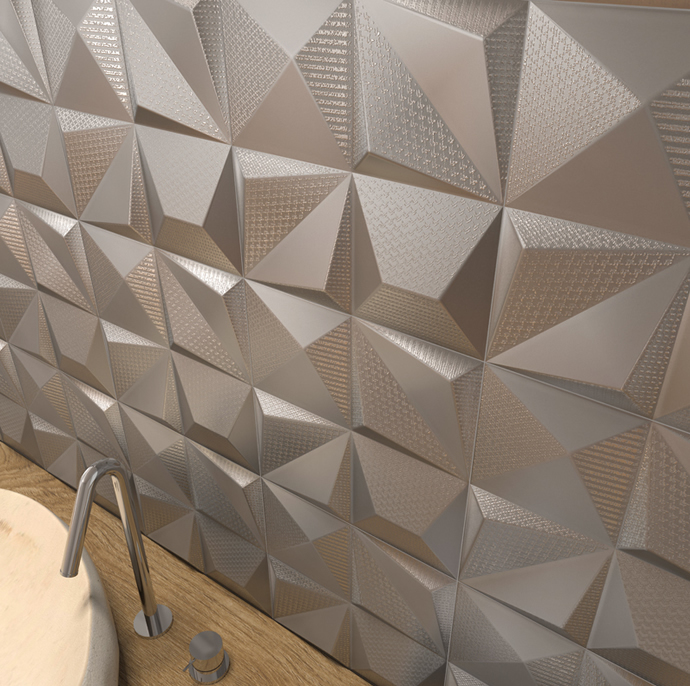 The same tiles in a metallic grey colour really bring out the texture, creating interest in the wall without having to use more than one colour. They can be used to create an accent, while the correct use of lighting will help make the most of the textures and angles. 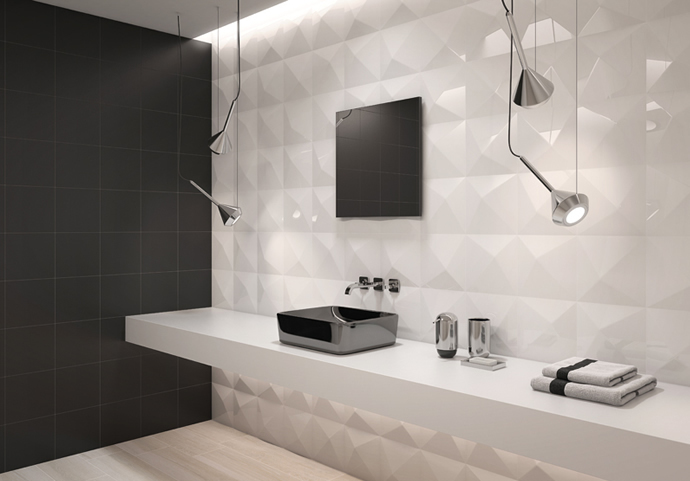 Perfect for a luxury build or new development, decorative finishes for your bathroom can really rejuvenate visually- and at Concept, we can help you put together the most functional, yet exciting designs to make this space work for you in every way. Whether you need the space to relax or rejuvenate, our designs can help you create a luxurious feel, whether you’re renovating an existing room or designing a luxury new build. This entry was posted in Luxury Bathrooms, New Products and tagged Bathroom Finishes, Decorative Bathroom Finishes. Bookmark the permalink.